Two musicians from Toronto, Shahriyar Jamshidi, Iranian-Kurdish master player of the Iranian kamancheh, and rising star cellist Raphael Weinroth-Brown, sit across from each other and make a miracle happen. Without codes or prior agreements, they simply let two very different stringed instruments speak, whisper, or argue heatedly. Recently, they released a fabulous debut album, which turns out to have been recorded in only one take! 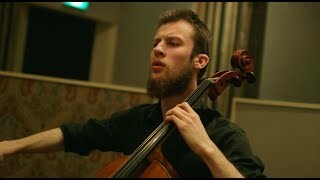 Cellist Raphael Weinroth-Browne is a musical animal who plays multiple exciting projects. On Friday October 18th he opens CELLOFEST together with singer Heather Sita Black with his project The Visit. 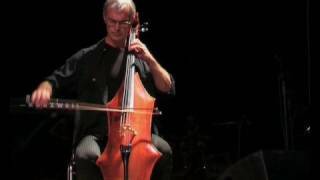 Longsworth is just as peculiar as his cello looks. Classically trained in the USA and settled in South France, he regularly performs with celebrities in French jazz, and with amazing musicians from the Middle East and French speaking African countries. Oud player and guitarist Gregory Dargent explores his versatility in eight different formations, from the world ensemble L’Hijâz’Car to pop group Babx. Highly popular percussionist Jean-Luc Di Fraya turns each performance into a party, using both his drums and his voice.